So, we are almost halfway through the semester, which means it's time for an update. Plus, I had someone ask about it today, which means I need to get it together and get back on the blog-wagon. Remember when I was worried that the class might move too slow and I would have to remind myself that I was there to learn and take it for what it's worth? Well, I never thought I would have the opposite problem. For some unknown reason, there is a small group in the class that are dance majors and have taken every single one of this teacher's classes multiple times. They.Are.Annoying. Look at me in my point shoes. Look at my perfect technique. Bleh. Way to make the rest of us fell self-conscious and inadequate. Let's start with the important stuff; my leotard doesn't look any better in week 7 than it did in week 1, but I have learned to care a little less. We are all in the same boat here, but some people's boats are more streamlined than others. In regular clothes and gym clothes, I like my muscular legs and lifted, round glutes. In a leotard, I just look stocky and thick. Thank goodness most of the time I am too concerned with my turnout or my balance in relevee to care about what I look like. 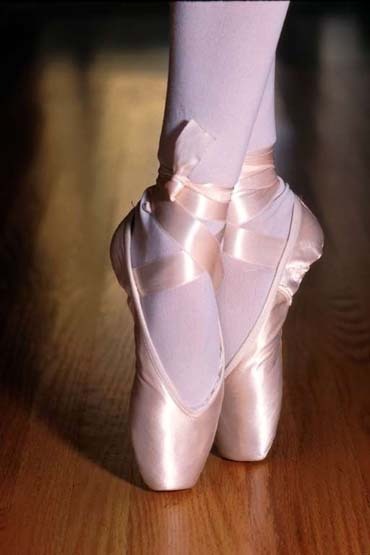 Instead of taking the time to instill good technique in all of us, the instructor has decided that since more folks in the class have experience than not, she is going to introduce us to all kinds of stuff we would never be doing in beginning ballet. Luckily most of it I have learned before and have some sort of muscle memory and can manage just fine, but some of it, not so much. And since I have been working out so much and not focusing on my flexibility, my muscles are not wanting to stretch with me. Very frustrating. Oh, and that routine I mentioned that will be happening at the end of the year...I don't think I will be performing after all. With the class size as big as it is, I have a hard time seeing what the instructor is doing half the time and that leads to confusion and missing counts and just faking it til I make it. Doing that in class is one thing, but doing that in front of an audience is an entirely different story. I think all of this has led me to realize why I stuck with jazz and hip hop in the first place. Here's to the next 11 weeks!